Realm of Writing Korean Celt: Dogs, dogs everywhere. 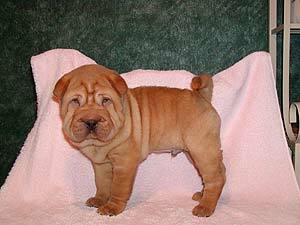 This is the dog my brother and sister-in-law are getting. They're going to name him Porkchop. Isn't he cute? But not as cute as Mookie. Speaking of Mookie, we might be making some headway on the potty training situation. She's kinda, sorta doing the doo in the litter pan on her own, sometimes. Which is better than never, right?